This hearty meal will likely become a family favourite. 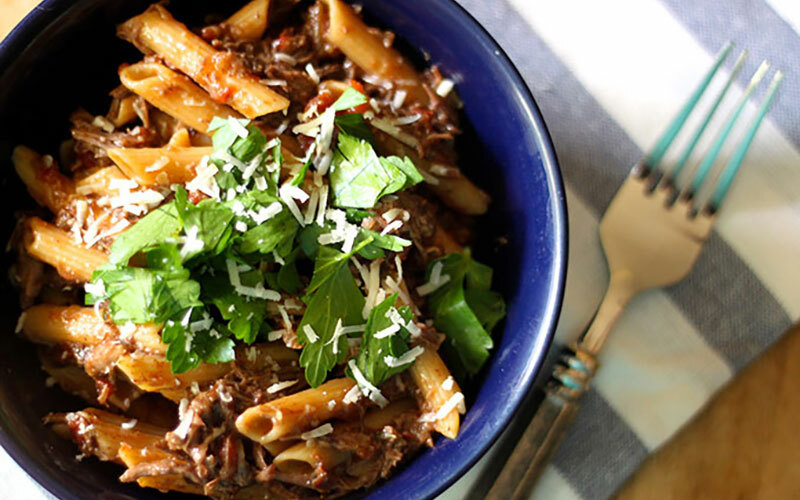 Slow roasted braised short ribs with your favourite pasta makes the perfect fall weekend meal. Pair it with our Vin Bon Amarone wine this weekend. 2. 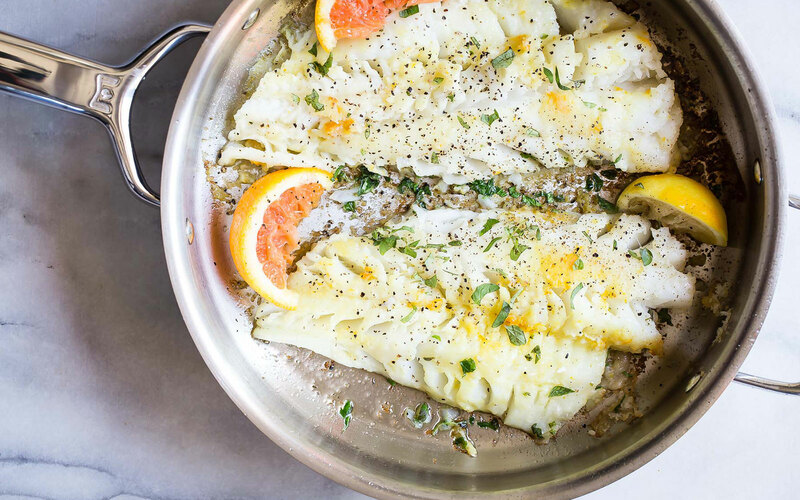 In a large enameled cast iron oven safe pot, heat the olive oil over medium high heat. 3. In a large plastic bag, whisk together the flour, Kosher salt and freshly ground black pepper. 4. Dredge the short ribs lightly in the flour mixture. Add the short ribs to the oil and sear on all sides until they are nicely browned. 5. Remove the short ribs from the pot onto a plate and set aside. 6. Add the onions to the pot and sauté until translucent. Add the minced garlic and tomato paste and sauté for another minute or so, until the tomato paste turns more of a rust colour. 7. Add the can of diced tomatoes, spicy brown mustard, crushed red pepper flakes and beef broth, taking care to scrape up any brown bits on the bottom of the pan. 8. Return the browned short ribs to the pot, cover the pot and place in the oven. 9. Cook for about 2 ½ until the ribs are tender. 10. Remove the ribs from the pan and let them rest for a minute while you start the pasta. 11. Bring a pot of water to boil, salt the water generously and add the pasta. Cook as per the package instructions. 12. Drain the pasta and reserve 1 cup of the pasta water. 13. Skim off any fat from the top of the sauce and discard. 14. Discard the short rib bones (if there are any) and shred the short rib into small pieces. 16. Add the drained pasta to the meat and the sauce, tossing together. If the sauce needs thinning out, add some of the reserved pasta water. 17. Sprinkle with the Pecorino Romano cheese and chopped parsley.